Another downtown store has been robbed. 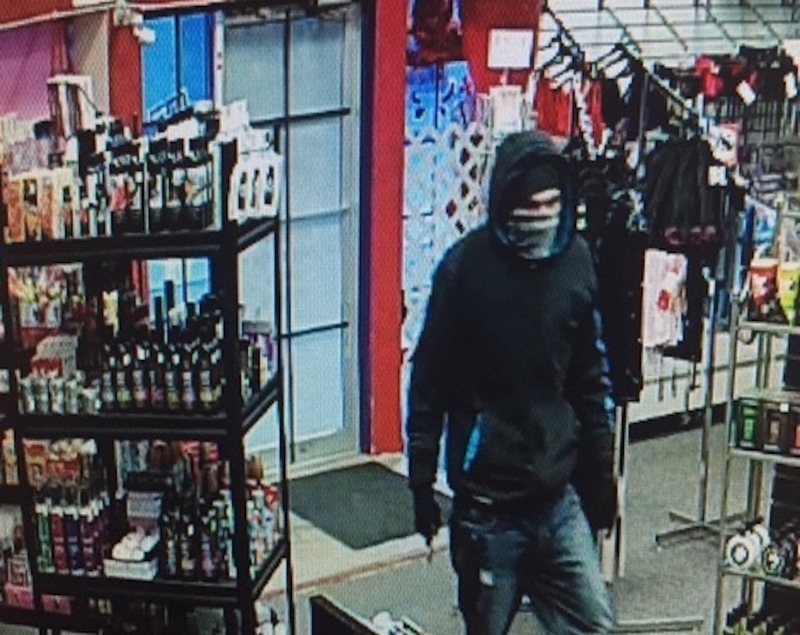 Kamloops RCMP are asking for the public’s assistance in identifying a man who robbed the Whispers Adult Superstore on Sunday, Jan. 20. They say a man entered the Seymour Street store at 4:20 p.m. with his face covered. Brandishing a knife, he told the clerk to open the cash register and give him the money inside. Once he had the money, he left the store and headed on foot down Seymour Street towards Fifth Avenue. “This is the third robbery in downtown Kamloops in 10 days,” said Cpl. Jodi Shelkie. “So far the RCMP have not linked these robberies to each other. We are very thankful that no one has been physically harmed. It seems in this robbery as well as the ones at Movie Mart they are both businesses that only usually have one employee on at a time. Maybe businesses should lock their doors at a certain time and let customers in when they arrive. Or put two employees on. Sure it will be a pain to do and at a cost to the employer but employee safety should be the top priority. Luckily no one has been harmed yet but best to be proactive to prevent any injuries. A little bear spray would go a long way!